Awhile back, I threw a party for a big group of friends and their children. On the menu was one of my favorite sweet treats-- meringues. If you have great patience, these are simple and will melt in your mouth. 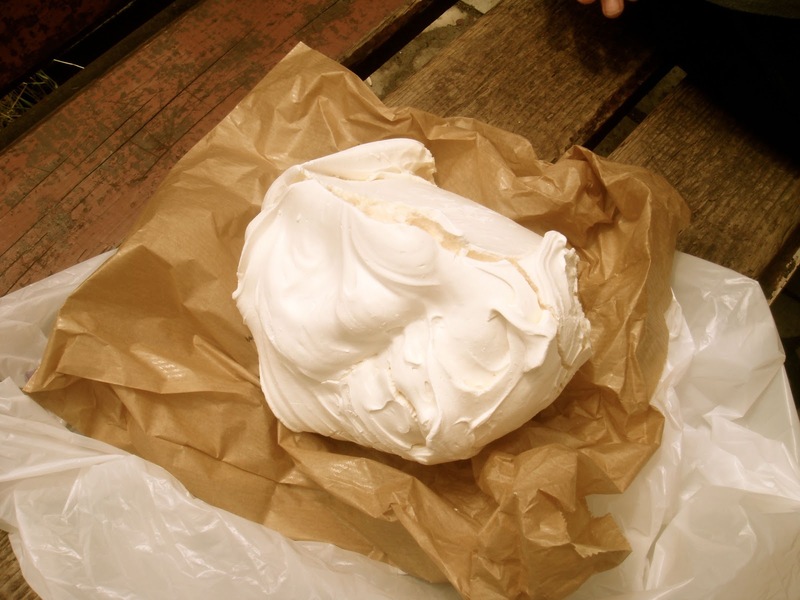 In Tbilisi, meringues are stacked high in the windows of bakeries and are just larger than your fist. At home I like to make small bite sized versions. Make a big batch and (if you have leftovers) they'll store well for up to a month in an air tight container. Using an electric mixer, whip the egg whites until firm. Slowly add the sugar and the cream of tartar. Whisk until glossy and the peaks stand on their own. Add the vanilla bean and food coloring. Line a baking sheet with a silpat and pipe small 'kisses' (or your desired shape) of meringue. Place into a 200 degree F oven and bake for 30 minutes. (This will vary depending on the size you make your meringues. You want them firm, but without additional color. When they are done, they will easily peel off the silpat and sound hollow when you tap against the bottom.) At this point, turn off the oven and crack it's door open slightly. Leave the meringues to dry further for approximately two hours. Remove, and cool if needed. If you can manage not to eat them all in one day, they'll keep for up to three months sealed in an air tight container.